n.b. ROCKET CHAINSAW attended a sold-out session of Rone Empire at 10:30AM on Thursday, 14th March, 2019. All photos and videos are courtesy of Rone Empire. Professional photography including tripods is not allowed in the exhibition, nor are prams or food and drink. 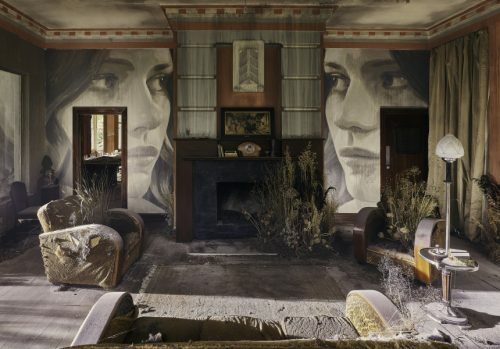 Rone (Tyrone Wright), known for his street art and giant mural on one of Victoria’s rural silos, had the pleasure of using the blank canvas state the mansion is currently in to create a multi-dimensional art masterpiece. The artwork which extends through much of the mansion tickles your sense and touches base not just with the roots of the building but also Australian seasons. His signature portraits of women are splashed on walls in every room, piercing into your soul as you imagine the history of each room. Upon arrival, we were let inside in groups of six at a time and given a brief introduction on what to expect. Only 80 people are allowed through the mansion at a time, which includes two floors and an amazingly large spiral staircase that greets you as you enter. Patrons are given 90 minutes to tour the mansion, however most people will only need about half of that time to see the 11 main rooms and hallways. The entire mansion isn’t open for inspection, there were however some surprises including a section of the balcony being open to allow viewing of a library submerged in water. Rooms were lightly furnished which allowed for the focal points to be the artwork as well as the music and sounds played throughout, composed by Melbourne singer-songwriter Nick Batterham. Our pick of the exhibition was the amazing tree growth through one of the corridors upstairs. The idea is that Burnham Beeches was left abandoned and nature had started to reclaim its land. 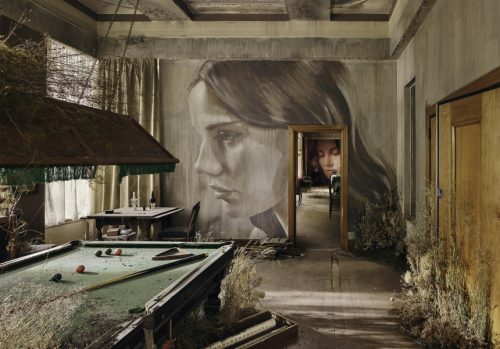 Dust and dirt has gathered, leaves are bunched up in many of the rooms, and plant growth appears in unique places including an old pool table in the games room. The entire mansion isn’t open, however, and it would have been nice to see what Rone could have done with a large bathroom, for example, but for the price of entry ($15 + fees) Rone Empire is an unforgettable experience. 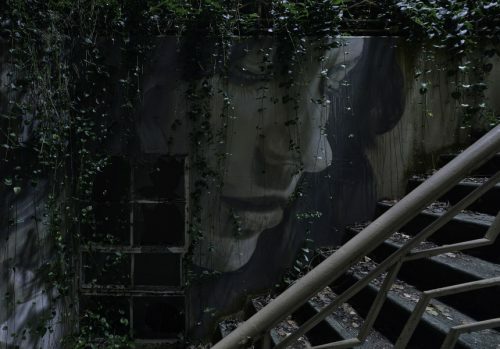 The once-in-a-lifetime opportunity to visit Rone Empire at Burnham Beeches was an incredible experience only available to the lucky few that get to see it before it’s gone forever. 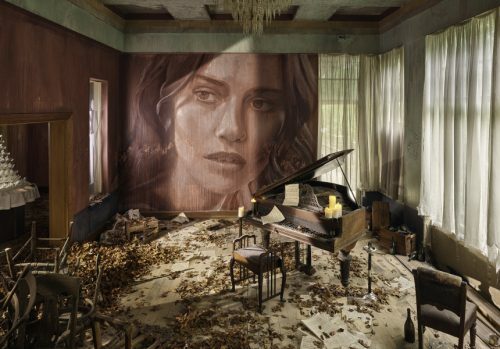 Unlike other artwork that lives on forever in galleries, Rone Empire will be torn down when Burnham Beeches gets its 6-star hotel makeover. It’s an experience like no other, and if you’re given the opportunity to see it, don’t pass it up. There is plenty to experience, but at times with 80 people in the mansion it was hard to take that perfect personal photo. 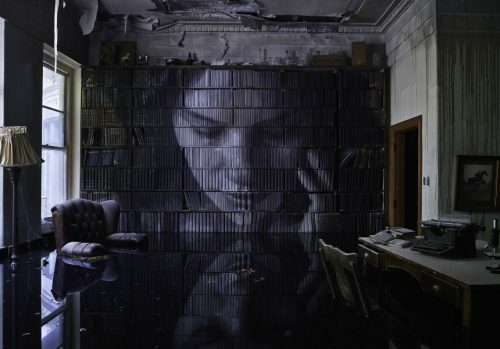 The professional photos from Rone’s website will live on forever though, and include some features like re-positioned sculptures and candles which we didn’t encounter when we attended. 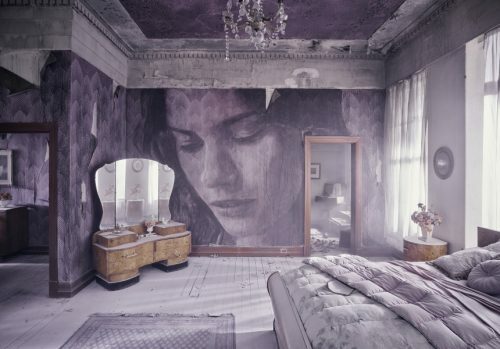 At the end of Rone Empire, you head to a separate part of the mansion through a lengthy candle-lit corridor where you can experience a 5 minute VR 360 degree video presentation on the making of the exhibition, as well as a gallery that included large framed professional photos of the different rooms, or for the commoner there was also a pack of 14 postcards for $20, a $20 soundtrack, and a $40 catalog (record) that came with a 7” vinyl (record). Afterwards, enjoy a stroll through the Alfred Nicholas Gardens behind the mansion, or grab a bite and a coffee at the Piggery Café which is also on site. Alternatively, head down into one of the bustling villages such as Tecoma, Olinda or Sassafras. Burnham Beeches is in the Dandenong Ranges, and about an hour’s drive from the CBD.